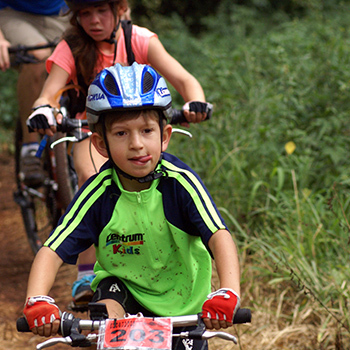 Kids Zone – For kids aged between 2 and 10 years old. Reserve a 6 seater picnic table on the porch or under a gazebo for 3 hours and watch the kids play on our big wooden pirate ship, jungle gym and custom made tractor. Our waiters will be on hand to serve refreshments ordered from our restaurant. 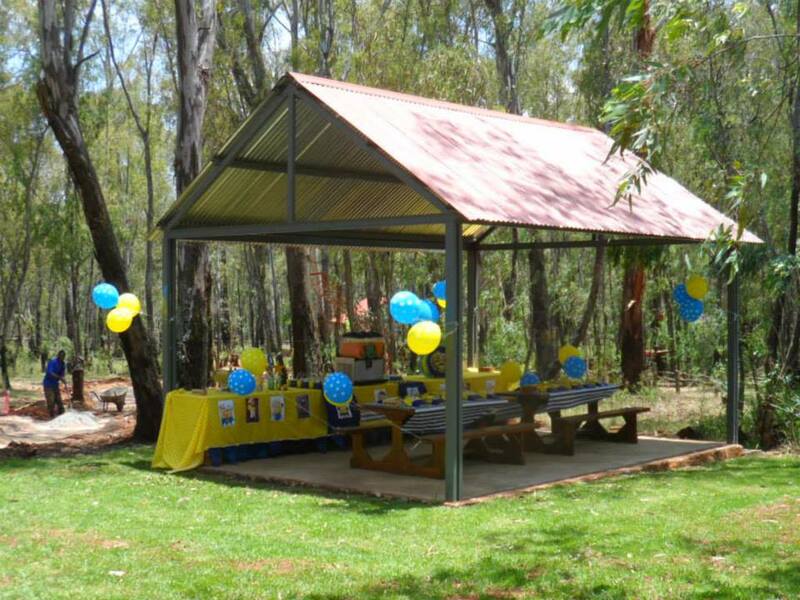 Picnic Area – A beautiful spot under the Bluegum trees close to the Blue and Red Acrobranch courses which gives you a birds eye view of the kids in the trees. Please note that we do not have waiters in the forest areas. 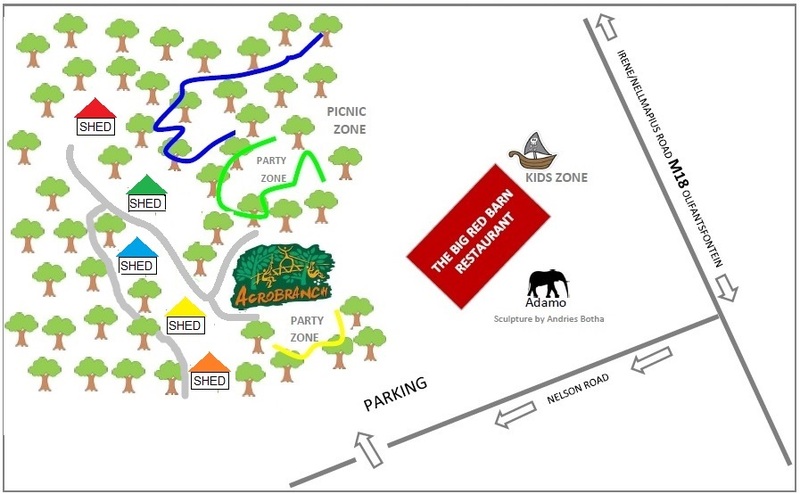 Acrobranch Yellow & Green Zones – Our Bluegum forest has 2 area’s with tables for Kids Parties and are colour coded to correspond with the Acrobranch courses, so you are literally in the middle of all the action. Book a zone for 3 hours and choose the number of 8 seater picnic tables you require. Sheds – We have 5 beautiful sheds in the Bluegum forest adjacent to Acrobranch. The Shed’s are colour coded to coincide with the Acrobranch courses. Slots can be booked from 9am – 12pm or from 1pm – 4pm. All bookings can be made by completing our Party Order Form. Once your booking form has been received a mail will be sent to you. Bookings and orders will be confirmed on receipt of payment. Other Functions – The sheds are also perfect for smaller, less formal functions such as kitchen teas, christenings and other celebrations. As these type of functions often require more attention to menu details and service we need to be informed in advance by e-mail. The more accurate the information we receive regarding your function the better service we are able to provide. Please check our terms and conditions on the bookings form or discuss your plans with our party co-ordinator. Site Inspections by appointment only.